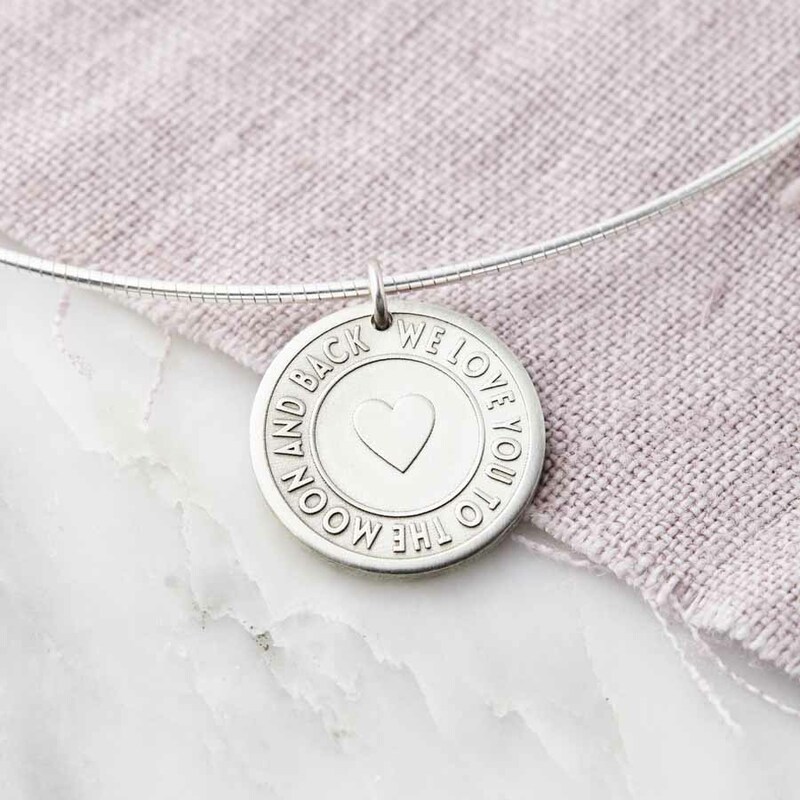 A beautiful handmade sterling silver pendant, etched in releif with your words and a heart motif on a sterling silver necklace. 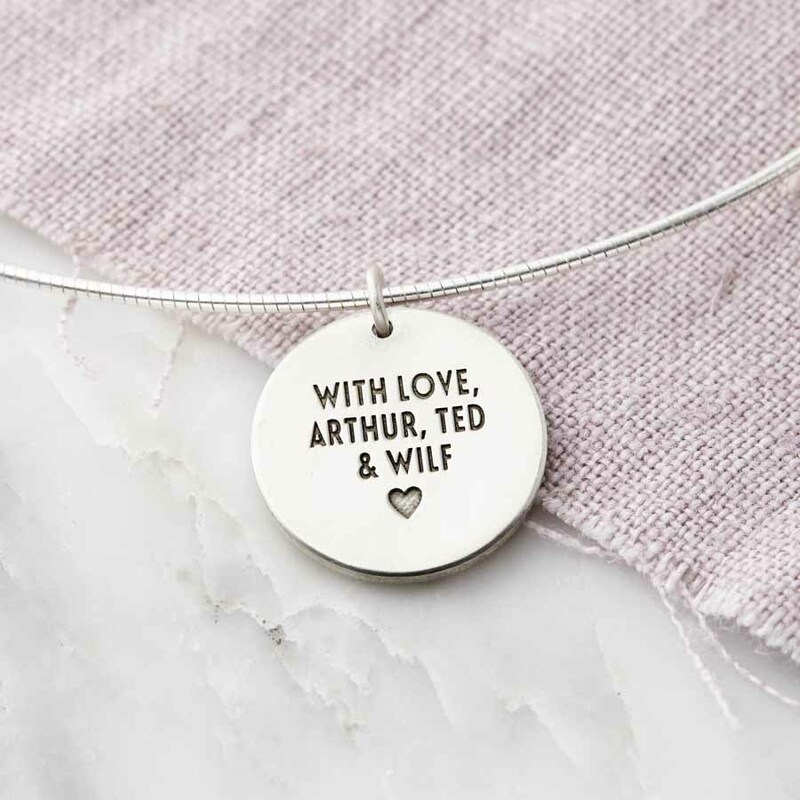 We can also engrave a hidden message on the back as illustrated – something between just you and the wearer. This could be names, dates or a short message from you to them. A perfect gift for a loved one, or treat yourself! This necklace makes a great birthday, bridesmaid, Anniversary, Mother’s Day or Christening gift. 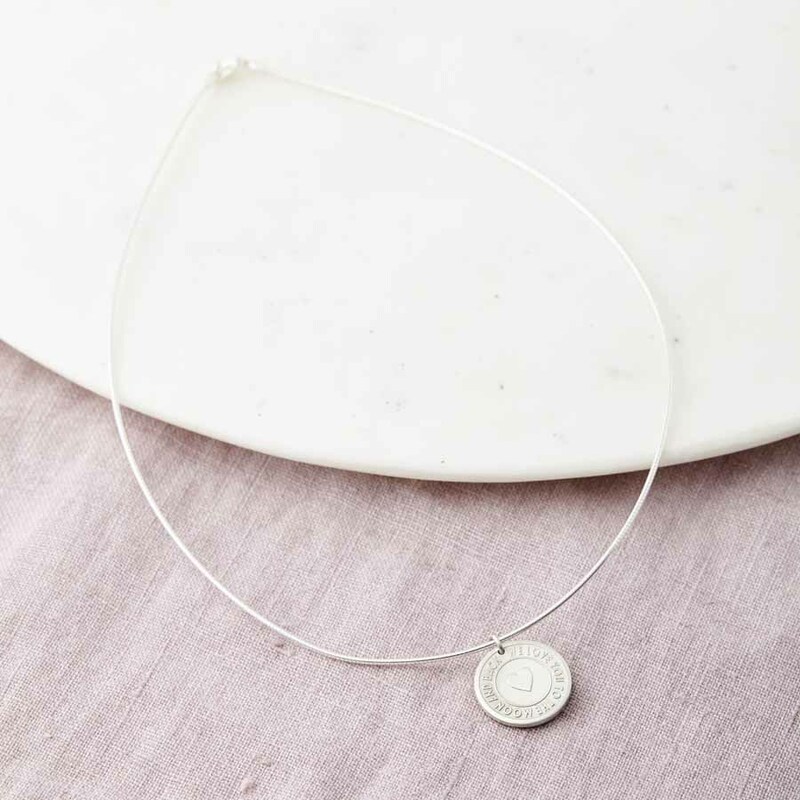 We can etch a maximum of 32 characters (including spaces and punctuation) on the front of the pendant. A smooth, sleek sterling silver chain measuring 45cm is included in the price. The pendant measures approximately 1.8cm. Silver chain is 45cm long.